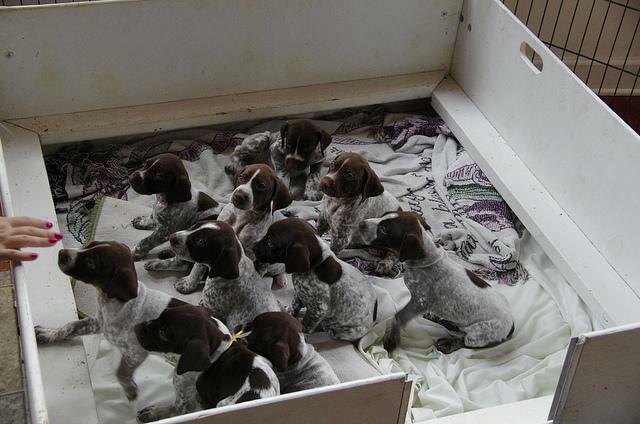 Gorgeous working German shorthaired pointer puppies. Excellent bloodlines. We have four very laid back easy going GSP puppies. Two boys two girls. 8 weeks old. Ready to go now. We have both parents and work them under our birds of prey. Full pedigrees. Any questions feel free to ask.